Buddy is a very handsome fellow who loves people, especially the ladies. He definitely prefers to be an indoor dog, but at the same time likes to have a bit of a zoom around the back yard each day. 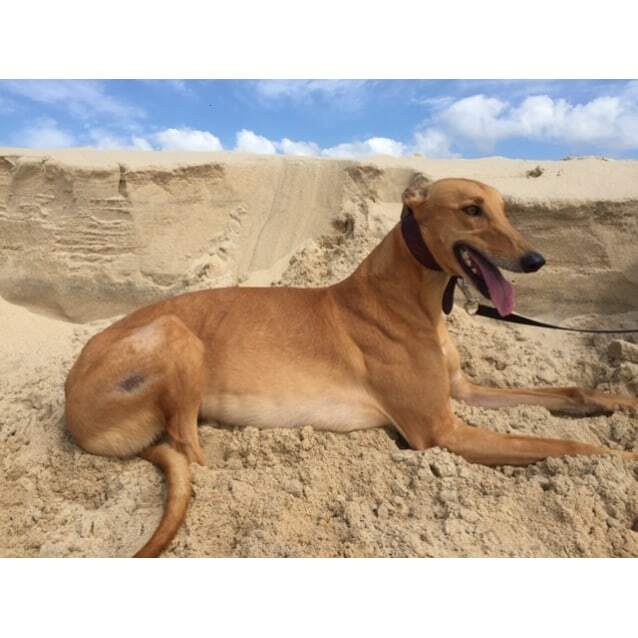 Buddy is looking for a forever home where he has company a fair bit of the time & where he can continue the lifestyle he became used to with his racing owners – air conditioned comfort, a lounge to stretch out on & trips to the beach on the weekend. Ideally suited to an active family with teenage children to play with & perhaps another friendly resident dog (medium to large size).